Twist the rubber band and you're off! Sporty, fun to paint and race cars. Hold your own race car derby! 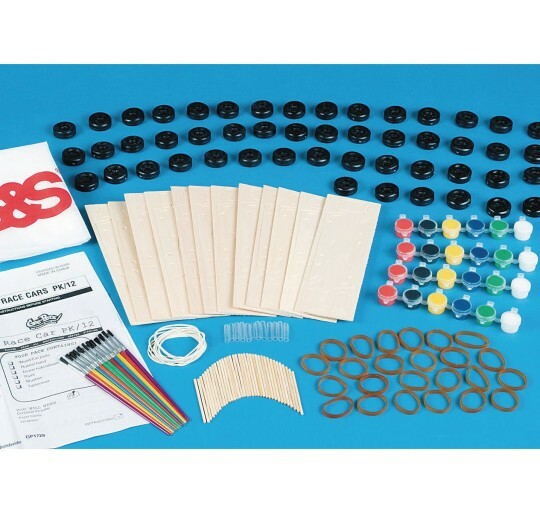 The kids that were able to assemble the car found it fell apart when trying to use it. They eventually took the rubber band off and used it as a push car which wasn't satisfactory at all since we had wanted to race them. 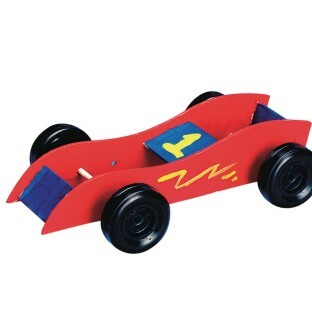 These are great for little guys with fine motor and other challenges.....they are motivated it's a RACE CAR!!! need to follow verbal directions and a visual example it's not long enough or complicated enough to be frustrating and they can paint it and make it their own.